Newsletter No.029 540K part three, MBCACT Concours, Stretch A-class. This week the final chapter of the 630K story and the Australian release of the stretch A class. We also have pictures from the MBCACT 25th birthday bash held last weekend. Sorry, but the next chapter of the fuel injection explanation will have to wait until the next newsletter. Too many other things happening at the moment. Sorry. The final chapter of this amazing story unfolded last weekend at the MBCACT 25th birthday celebrations. As you all will know from part 2 of the story I had a dinner appointment with Mr Veen last Saturday night. We (Sandra and I, and my parents) arrived early at Rydges Capital Hill for the dinner. There it was, parked under the motel, the 630K that we had chased for nearly five weeks! Would you believe that of all the amazing coincidences in this story, the owner of the car was staying at the same hotel the MBCACT had booked their Pre Concours Dinner! Both bookings were made over six months in advance and neither party knew of the other until Barry bumped into Mr Veen on that beach in Western Australia. Later that evening I meet Mr Veen and told him the story of how we had chased him across the Nullabour. He is certainly an amazing person. He is totally committed to his collection of pre war cars and enjoys driving them, not just looking at them. He had only two days to go on the 100 day around Australia trip. He was planning two weeks rest in Sydney before heading to Malaysia for a four week tour with the Malaysian Rolls Royce Club. On Sunday the car was proudly displayed at the front of our Concours, held as part of the ACT German Autofest. I had another chat with Mr Veen and he told me some more of the details and history of this amazing car. The car was made in 1927 but not assembled until 1931. It was used very little and hid during the war. Somehow it made it to the USA after the war and was placed in a Museum in Seattle. Mr Veen purchased it from the Museum ten years ago. At that time the car had travelled only 1700kms. It had not been driven since the war. 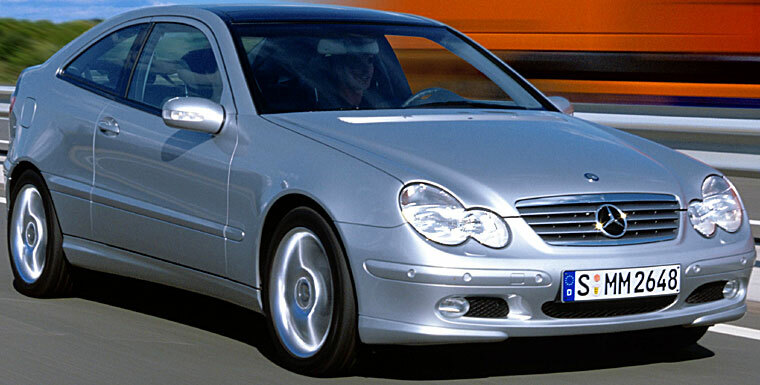 He shipped it to the Mercedes Classic centre where it was stripped checked and reassembled. Since then he has done over 100000kms in it. 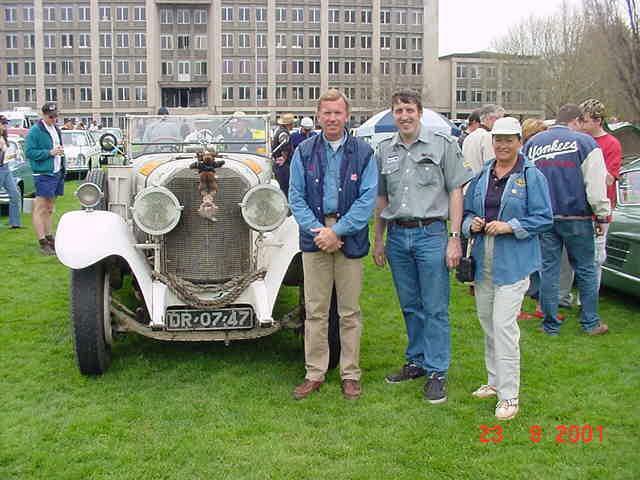 The car came second in the '97 Peking to Paris Rally and has competed in many classic rallies. As mentioned, he was on day 98 of a 100 day around Australia trip. He had driven 96 of the 98 days with the roof down, including crossing the Nulabour. The car gets 8mpg or 2.8km per litre. The fuel tank takes 120 litres and needed to be filled twice a day. Cruising speed is 100kmh. According to Mr Venn, the only way to see Australia is in a Classic car with the top down. He explained to me that when he first heard about the trip from a friend of his in Sydney he decided against it. However his wife wanted to go and convinced him to go. Now he would do it all over again. I guess that is the end of the story, but given how amazing it has been so far I would not be surprised if there was another chapter..........who knows. As you will know from Newsletter 27.5 the Mercedes-Benz Club of the ACT held there 25th Anniversary celebrations last weekend. Have a look at this site for some pictures of the weekend and list of the winners from the Concours. It was good to meet some of the Newsletter list member on the day. I hope an enjoyable time was had by all. 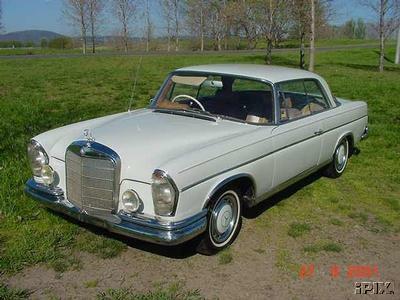 The 380SEL from last week has been sold. We have for offer at the moment the 180E and a rare 300SE coupe. 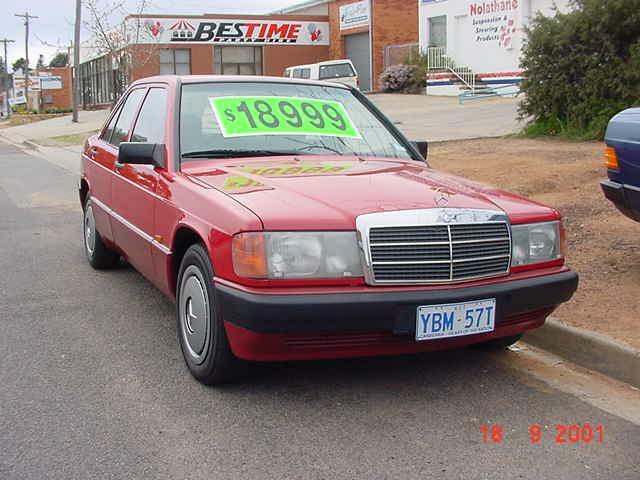 The 180E is a great one local owner car with a perfect service history. Have a look here at our Cars for Sale page. The following is from the DCAP (Daimler Chrysler Asia Pacific) press realese annoncing the new A Class LWB. Mercedes-Benz Australia says its just-launched stretched A Class has more rear legroom than some luxury cars. 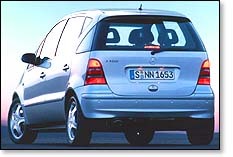 Mercedes also is claiming class-leading luggage space for the 170mm-longer, more "family friendly" A Class. Two long-wheelbase models, both available only in Elegance trim, join the existing A Class range here: the A 160 and A 190 long-wheelbase Elegance.The stretched cars obviously inherit the new look of the regular-wheelbase cars, updated mid year with a shapelier front incorporating clear-plastic headlight lenses. Ditto, the interior, with its S Class-derived dashboard and redesigned, veneer-panel centre console. The cars also get the newly developed "dew point sensor" air conditioning system which has filtered down from the S Class, and for which Mercedes is claiming a first in the A Class' market segment. Coincidentally, the 170mm wheelbase stretch in the new model equates with the amount of available rear legroom – which, Mercedes says, combines with hip-to-hip distance between front and rear seat occupants to outshine some luxury sedans. Load space is said to be up 11 percent over that of the regular-wheelbase A Class. The longer cars also get the latest version of Mercedes' ESP (Electronic Stability Program) which is linked with a new hydraulic Brake Assist system for which Mercedes claims shorter stopping distances in an emergency. The S Class big windowbags (one metre x 120mm) are now also optional for the A Class. Sidebags are standard in the front doors. More details at the Mercedes-Benz Australia site.